I’m a person who likes to push. I like to have a target, a goal I’m working towards. My ideas tend to balloon into behemoth monsters that take all my focus, energy, and time. I throw myself wholeheartedly into projects, and work myself to the point of exhaustion…either physical exhaustion in an effort to finish the project, or exhaustion over the idea itself. I’ve been this way about many things. It was this way when I first started training for a marathon. It is often this way when I’m trying to finish putting a production together. When I first started teaching, I was relentlessly hard on myself. I’d stay up until 1:00, 2:00, 3:00 in the morning sometimes planning lessons and trying to have papers and test immediately graded and back on the student’s desks by the next day. At times it’s also crept into my relationships. Some people’s definition of commitment might include throwing themself into a relationship and giving everything they have, everyday, forever and always. While on the one hand, the forever and always piece does sound a lot like what commitment should be, on the other hand, what I tried to do for the first six months of my marriage (which is to say…cook all the meals, do all the shopping, do all the laundry, keep the house clean, and NEVER ask for help!) was really NOT what commitment should look like. At first it felt like a fun project, like “look how amazing I am at ‘wifing'”. In the face of keeping it up forever and always; however, it wasn’t too long before I’d run myself ragged trying to keep up, and finally “gave in” to my husband’s insistence that he would help with whatever I wanted if I simply asked him to do something. In the great pursuit of our “best selves” social media, Pinterest, and the vast expanse of the internet offer a lot of ideas about how we should be constantly improving. A quick search revealed such articles as “100 things to do to improve self-care,” “8 Ways to be constantly improving,” “Four things holding you back from self growth” and “20 self-improvement tips for when you don’t know where to start.” Add them all together, and that’s 132 different ways to change your life right now! That’s six new things to try each hour. Better get improving! Take a moment to revel in meeting yourself where you are now. What do I mean where you are now? It means that in the big scheme of life, there are moments to push and improve, and there are moments to rest and recover. The constant improvement narrative can be very motivating, very invigorating, and very draining. If we’re constantly improving then we’re never celebrating the here and now. We’re never celebrating the progress. We’re never reveling in the moment in which we arrive, because we’re already pushing for the next big thing. What does reveling in where you are now look like? It might be celebrating progress. This school year I’ve been waking up ten minutes earlier than I normally do to do ten minutes of early morning yoga stretches. I’ve made good progress in my flexibility, which is still nothing to brag about, but I can see the results starting to manifest. And so Monday when I woke up tired from the play weekend…and then again on Tuesday when I slept through my first alarm…I met myself where I was, and I didn’t get up and do it. This is only the second or third time I didn’t make myself wake up and do them, and I felt a little guilty about it. But the long and short of it is one morning was not going to unravel the progress I’ve made. And it felt GOOD to stay in bed. My husband snuggled back in behind me, and I fell SOUND asleep for another ten minutes before getting on with the rest of my day. If the yoga is good for my physical health, that ten minutes was AMAZING for my mental health, and it’s not a bad thing to trade one for the other. Meeting yourself where you are might be an indulgence. It might be a reward for a job well done. It might be the acknowledgement that you can’t do any more today, and giving yourself permission not to push on to one more thing. It is not the same as “letting yourself go.” I didn’t take two days off yoga and then decide to never do it again. I’m not recommending indulging in a rich dessert and then deciding to never eating healthy food. I don’t advocate taking a night off from the gym, and letting that night off become a week or month off. But it’s not unreasonable to acknowledge that in the quest for self fulfillment and constant improvement, sometimes the best thing to improve a day or a mood, is to acknowledge that you’re fine, and surviving, just how you are in that moment. Social media would have you believe that most people are either doing one of three things: 1. Eating amazing meals all the time; 2. Doing insane workouts all the time; 3. Traveling to amazing places all the time. 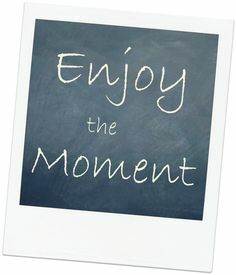 If that’s where you are in this moment, good for you! Revel in that! But if your moment is that you’re perfectly content on the couch, comfy in your sweats, and eating takeout, let’s allow ourselves to revel in meeting ourselves there too. Don’t apologize for the days that don’t fit into someone else’s ideal, and don’t apologize for needing a moment to be who you are…whatever that is, wherever that is. There’s always time to make a change. There’s always time to improve. Habits don’t become habits because of a single moment gained or lost. In pursuit of self actualization, let yourself be yourself. Look forward to where you may be heading, but don’t be afraid to revel a moment in where you are now! I am so in love with this. Our society is fast paced and there is the constant pressure to keep improving. I think it’s good to slow down on occasion, especially this time of year. We have to be on top of our careers, our homes, our relationships, our beauty ritual, etc. Also, the instant gratification mentality that comes along with it means we don’t take the time to appreciate reaching a big goal or recognize when we have done something amazing. We’re always moving on to the next thing. It’s nice to just be in the moment sometimes and celebrate a job well done. Thank you Kamber! Yes, it’s always a push to get to the next thing, climb the ladder, do more, say more, be more! This holiday season it’d be great if we could all be kind to ourselves and be grateful that we are who we are right now!